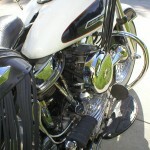 Restored 1951 Harley-Davidson FL Hydra Glide. 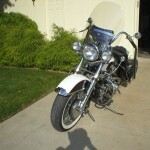 This entire bike was disassembled and everything was replaced or rebuilt during 2008. 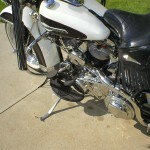 The engine is an original 1951 panhead and was overhauled by one of Omaha’s best mechanics. The original 4 speed gearbox was also totally overhauled. A new S&S carburettor with a K&N air filter was fitted. New bearings and bushings were used throughout. New neck bearings were fitted. The front forks were totally rebuilt. Converted to a 12 volt system with updated generator & regulator. New two tone paint was professionally applied. 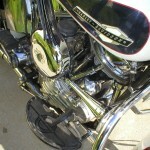 An original style horn was used. The original pogo seat was recovered. 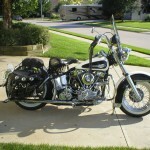 Harley-Davidson Panhead – 1951 For Sale or Wanted? 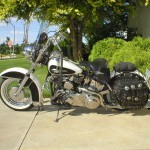 If you're looking for the perfect Harley-Davidson Panhead – 1951 for sale then take a look at the hundreds of restored classic motorcycles listed on our extensive Motorcycles For Sale pages. 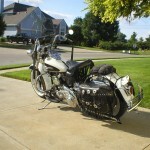 We regularly feature very nice restored Harley-Davidson Panhead – 1951 bikes for sale. 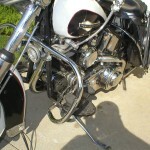 Spares and Parts for your Harley-Davidson Panhead – 1951? 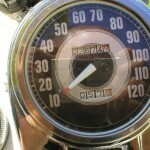 Workshop Manual for your Harley-Davidson Panhead – 1951?